Amid the visual noise of digital billboards and lighted logos, hand-painted signs stand out as relics of a bygone era of commercial signage. Shaped by the mechanical limits of a paintbrush, they are individualized, material objects — attributes that make them easy to fetishize in our digital age. The style all but died out in the mid-80s when automated sign-making technology hit the market, foisting upon the Johnston Streets of the world an unabated march of advertising uniformity. But nostalgia for older media, as with vinyl records and ’zines, is contributing to renewed interest in manual sign making. 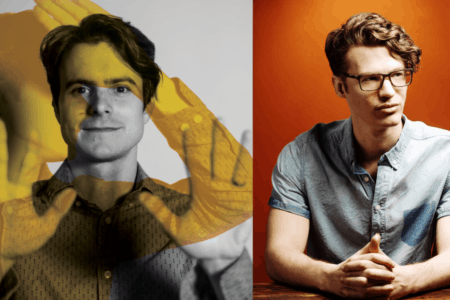 In San Francisco, New York and New Orleans, classes and workshops are cropping up to train designers in the near-lost art form. Hand-painting services are on the rise, catering to local and artisanal businesses that place a high premium on craftsmanship. Nostalgia has kept the art form alive, but on life support. Hand-painted signs still occupy their natural habitat in Lafayette’s historic neighborhoods. 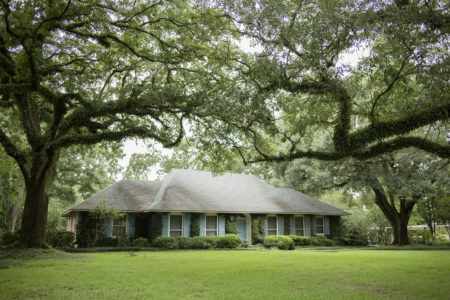 Freetown has a king’s ransom of the stuff — Bruce’s U-Save Auto Rental, Joe’s Upholstery with its pale cluster of atomic stars, and the Acadian Superette, beckoning with window splashes as down-home as the plate lunch specials advertised. 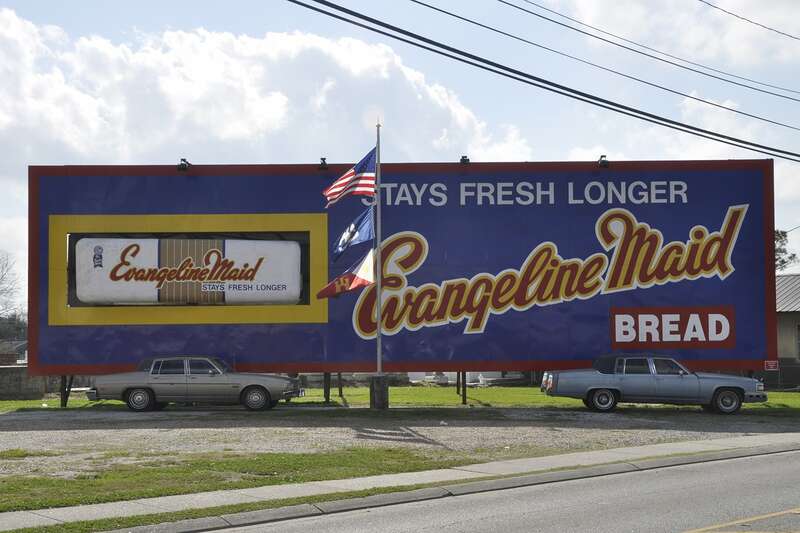 But La Place has Lafayette’s crown jewel — the Evangeline Maid billboard, a true masterpiece of roadside Americana. “I did it just like Michelangelo — I would use dots to create outlines and then fill in the shapes,” says Galyn Hubbard, the unsung hand painter who maintains the landmark. Its rotating loaf of bread eclipses the hundreds of thousands of individual brushstrokes that make up the oversized sign. The billboard’s sharp and saturated hues owe to the multiple coats of paint applied painstakingly by Galyn’s hand. Galyn Hubbard hand-painted truck wraps for Lafayette businesses, including this one for La Boudoir Lounge, formerly on Moss Street. 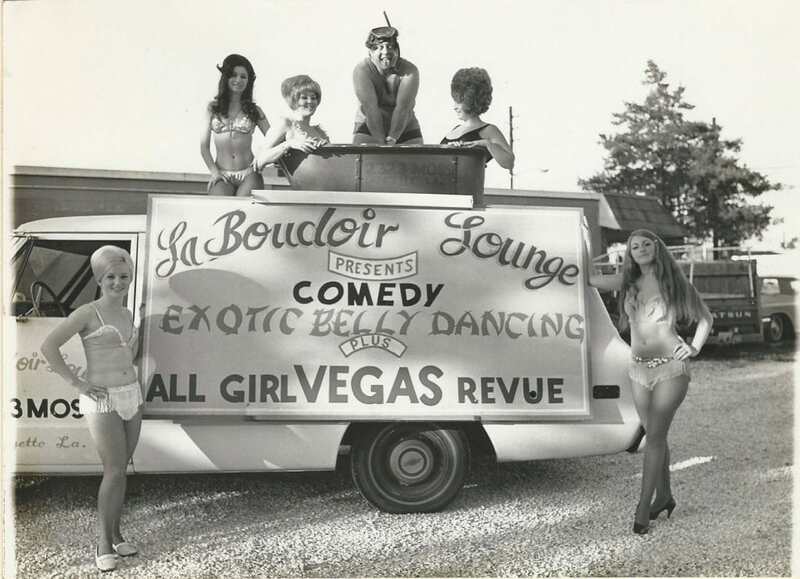 Since opening his family operation, Hubbard Creative Arts & Signs, in 1971, Galyn has re-painted the Evangeline Maid sign on four occasions, each time spending 30 twelve-hour days, give or take, on top of a basket crane. Galyn runs the business with his wife Etheline — “like the high-powered gasoline,” she explains — and their son Butch. These days the Hubbards occasionally get contracts for hand-painted work, but the majority of their work is the modern, mechanized sort. Nevertheless, Galyn loves talking shop about the craft that took him more than a decade to master. His office is overrun with metal filing cabinets that house documents and photos of the thousands of jobs Hubbard has completed, including ones for the Petroleum Club and Philadelphia Church. But the majority of the documents are “dead files,” Galyn explains, because the companies have since gone out of business. Most of Galyn’s hand-painting career can now only be found in this shuffle of paperwork. No, he says, he’s not upset that the majority of those signs have been torn down. As a commercial artist, he made a point of not becoming too attached to his finished work. Galyn leafs through photo albums of his fast-style, the professional signature of hand painters, and he reminisces about the time when signs were as distinct as the fingerprints of the artist who made them. 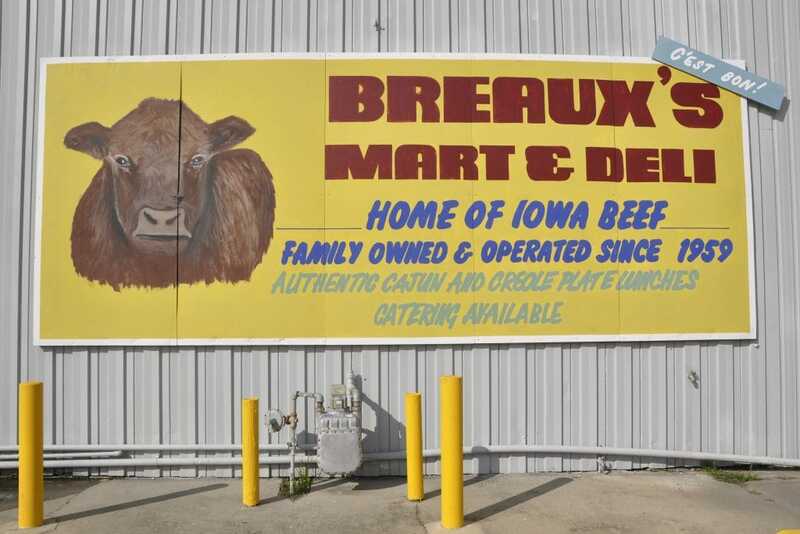 Not painted by the Hubbards, the Breaux’s Mart cow, in Upper Lafayette, is another classic example of the hand-painted art form. He talks reverently of his local sign-making heroes: Lester Lalonde, Charlie Gautreaux and Maurice Hebert, who despite having only two fingers on his good hand, managed flawless and fluid brushstrokes. Galyn never let wistfulness for the old way of doing things interfere with his running a successful business. For 46 years, he’s avoided the ranks of those “dead file” companies, adapting to aesthetic and technological changes over the decades. When vinyl printers automated sign-making in 1984, he bought one, and with help from Butch, Hubbard Creative Arts & Signs has expanded to offer banner printing, sandblasted wooden signs, laser-cut acrylic signs, etched stone and glass signs and metal nameplates. Bruce is behind several of the newer Downtown business signs like Lagniappe Records, Rêve and Salon NV. He even painted hand signs for Marley’s and Legends. Hand painting was already on its way out when Bruce joined the family business, so he never had much need to master the trade. But he’s recently been thinking about taking a workshop on lettering so he can re-create the classic style. A yellowing bulletin on Galyn’s drafting table reads “Is It Art Yet?” — the title of an exhibit he hosted years back. For most of Galyn’s career, sign-making was deemed too commercial to have artistic merit; it was castigated for its utility. Few recognized hand-painted sign-making as an art form until it seemed an obsolescent one. Now, perhaps, renewed interest can spare it that fate. 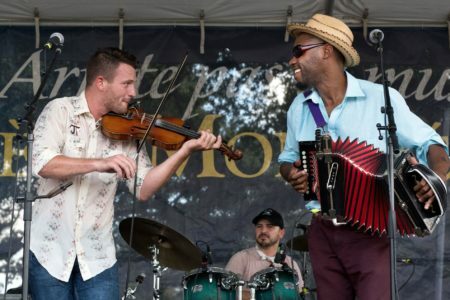 Festivals Acadiens et Creoles is a great place to eat. Victoria's Secret spokesman Bob Dylan plays the Heymann Center.